Jockey Roman Chapa has been charged with a felony by the Harris County district attorney in connection with his alleged use of an illegal electrical device while riding Quiet Acceleration to victory in the Richard King Stakes at Sam Houston Race Park in Houston, Texas, on Jan. 17. Chapa, a 43-year-old resident of Big Spring, Texas, is accused on state charges of unlawful influence on racing after an investigation by Jeffrey Green of the Texas Department of Public Safety. 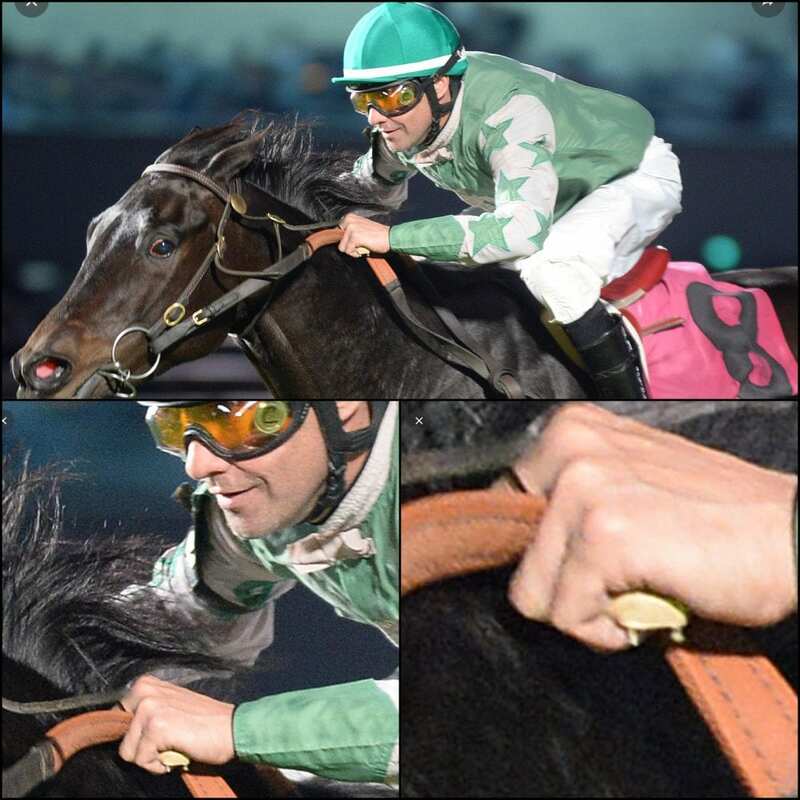 The investigation hinged largely on a photograph, taken by official track photographer Jack Coady, showing what appears to be an object in the jockey's left hand. As of late Monday afternoon, Chapa had not been taken into custody but bail was set at $10,000. Questions about the photograph and an investigation by the Texas Racing Commission were first reported in the Paulick Report. On Jan. 19, Texas Racing Commission stewards summarily suspended Chapa pending an investigation and hearing. He was taken off his mounts that day and has not ridden since the Jan. 17 incident. Chapa won with five of his seven mounts during the first two nights of the Sam Houston Race Park meeting. Chapa was suspended nine months in 1994 in Texas for using a nail on a Quarter horse during a futurity trial and banned five years in 2007 at Sunland Park in New Mexico for use of an electrical device – also known as a machine, battery or buzzer. He received a $100 fine in 2012 for striking his horse in the face with a whip. This entry was posted in Ray's Paddock and tagged buzzers, danny pish, electrical devices, Harris County District Attorney, horse battery, Horse Racing, Jockeys, machines, Paulick Report, Quiet Acceleration, Ray Paulick, Roman Chapa, Sam Houston Race Park, texas racing commission by Ray Paulick. Bookmark the permalink.